Convenient Access: External zip pocket. Versatile: Removable waist strap plus options for shoulder strap, securing to boats, bikes, etc. PVC-Free: Eco-friendlier fabrics reduce environmental impact and add durability. MADE IN Seattle, WA, U.S.A.
A Seal Pak is the answer! So, you finally got a chance to go on that tropical fly fishing dream-trip. 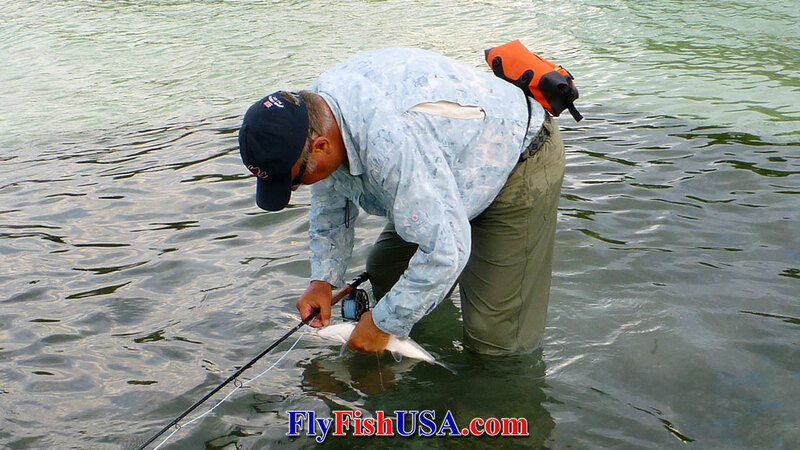 Much of the best shallow water fishing is done while wading. This requires some specialized equipment. 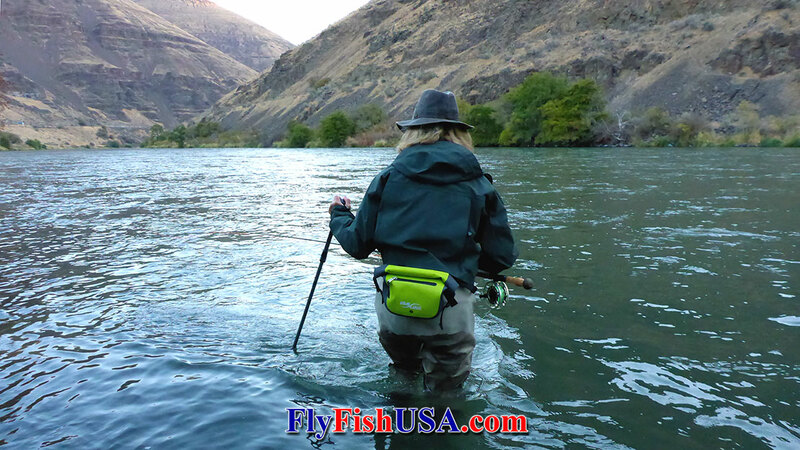 One of the questions you will need to answer is, what to carry your flies and small gear in?" Fishing vests, like those used for trout fishing are too hot and cumbersome, and definitely out of the question. A fanny pack is a better bet, but which one. There are dozens of choices offered by companies that claim to know what you need. Many are bulky, water absorbent, expensive, and pure crap. A Seal Pak is the answer! 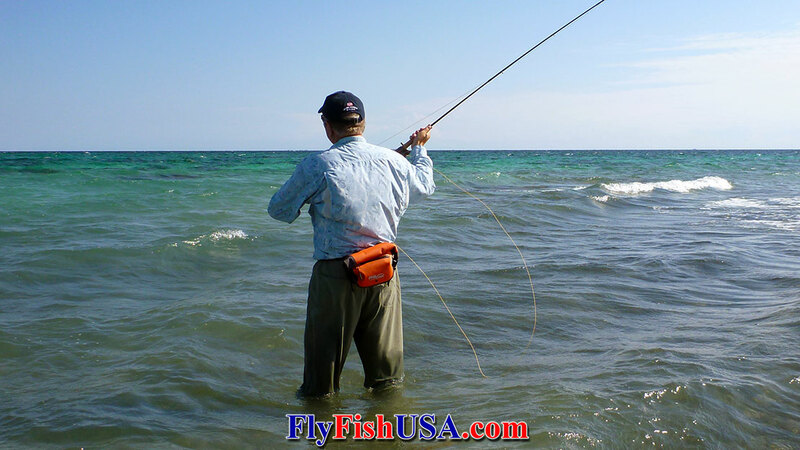 What you need is a simple lightweight pack that protects your flies and gear from the corrosive effects of saltwater. The main compartment needs to be totally waterproof, which means it needs to have a roll-top to keep the water out. Most small zippers are only water repellent. Only roll-tops like the main compartment of Seal Line Seal Paks are waterproof. A camera and lunch would be perfect were it not for the deep pools and scrambling to the rim. The Seal Pak pack provides just the sort of hands-free protection and storage you need. Free yourself with multiple carrying options, including a removable waist belt and shoulder strap attachment. Let the watertight roll-down closure remove the barriers to where you can and cannot go. An external pocket for easy organization and rugged PU-coated polyester construction give this pack the versatility to handle anything. You're gonna love your Seal Pak! The smaller zippered compartment on the outside of each Seal Line Seal Pak is not waterproof, but is a perfect place to put used flies that have been in saltwater. Don't put saltwater saturated flies back into a box containing unused flies or they will contaminate your unused flies. Instead segregated the used flies until you can wash them in soap and water and thoroughly dry them. Then they can be placed back into their original boxes. Seal Paks are just as good for steelhead, salmon and trout trips as they are for the tropics. They protect your gear and keep it dry in all climatic conditions and they fit over all clothing that you will wear fishing or hiking. Seal Line Seal Paks slide on the belt so that they can be slid from your back to either side for easy entry. There is room enough for two or three average size fly boxes, tippet spools, etc. There are a couple of D-rings for attaching tools such as a clipper and hook sharpener. Seal Line Seal Paks are inexpensive, and perfect of saltwater flats fishing, and all other kinds of fishing, including deep wading while steelhead/salmon fishing.